She’s the one you want to be with. She deserves the world, and you want to make her happy. You’d do anything for this woman, and you know that you could have an incredible future together. The only problem is that you’ve broken up… your relationship has ended and she’s disappointed and hurt. There is nothing worse than the feeling that you let the person you love down, and now you’re paying the price for it. Fortunately, there is a way to get her back… All you need to do now is understand how to become a better man and partner to the woman you love! Breakups are awful. They hurt, they damage your self esteem, they fill you with doubts, hopelessness, and panic. That said, they can also be extremely beneficial when it comes to getting a relationship back on track. If you’re able to grow from it, you can actually make your ex fall more in love with you than ever before! I have made it my mission to teach people how to do this, and in this article you’ll find out how to convince your ex that you can be everything she’s ever wanted! I know that many of you are probably terrified that you’ve lost the love of your life forever and you’re scrambling to figure out how to get her back. As you know, the most important and gratifying things in life require time, patience, perseverance, and investment. Your relationship with this woman is precious, and restoring and reinforcing it will take time. 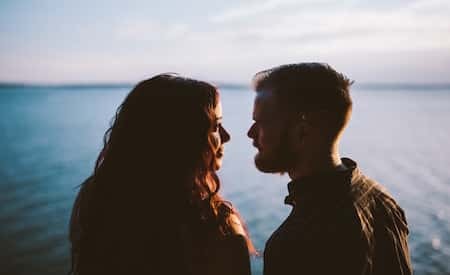 There is a reason why your relationship ended, and the root of the problem needs to be identified and addressed before you can propose a new relationship to her. I use the word “new” because you can’t propose the same exact relationship you had before, no matter how much you love each other, because you both know how that ended. She’s not going to want to have her heart broken twice, so you’ll have to reassure her that it won’t happen again. My point here is that it takes time. Rushing this process can be a serious detriment to your efforts. I know you love her and you want to be with her, and I know that you’re scared that someone else will swoop in and steal her from you. Trust me, she’s not going to forget about you after everything you’ve shared. Emotions and love don’t just evaporate over night. Fortunately, you’ve come to the realization that you are now going to have to step up, become a better man, and prove to her that you can be what she wants and needs. My Ex Wants To Hang Out…What Do I Do?! Great! But how do you do that? I want to be a better man for my ex… Where do I start? There are many ways to become a better man and it all begins with taking the time to reflect. What were the reasons behind the breakup? What could you have handled differently? What did your partner need in order to feel truly happy and fulfilled in her relationship with you? It helps to start writing a list. Seeing things clearly written down in front of you can help you to become more focused. Next, what elements in your personal life could be improved? – Are you physically active (enough) ? Taking care of your body is crucial because it enables you to be healthy in both your body and mind. It boosts your self confidence, which is key, but it also gets your endorphins flowing. These boost your energy levels and actually make you feel happier. – Have you neglected your personal or professional goals? When people get into serious relationships, it’s not uncommon for them to lose track of their goals. They invest so much in the relationship that their life becomes unbalanced. Pursuing these goals is important because it maintains your self confidence and you are continually proving to yourself what you are able to accomplish and what you bring to the table. – Have you been taking care of your mind? When guys think, “I want to be a better man,” a lot of them neglect the importance of taking care of themselves mentally. Sometimes it’s a question of pride, and other times they just don’t realize how important it is, but in order to be the best man you can be, you have to make sure that you’re feeling good. Sometimes all it takes is setting time aside to go for a good run a few times a week so that you can clear your mind. Some options are meditative yoga classes or even talking to a coach! I’m a firm believer in the idea that we should never stop seeking knowledge. Reading books, learning new skills, watching documentaries, paying attention to International news, learning about history, etc. Trust me, knowledge is a turn on and all it can do is enrich your life. If you feel like your social life has taken a back seat, now is the time to get back out there and start doing things. Get in touch with your friends and set out to explore new places and try out new activities. Be open to making new friends and trying out new things. A breakup can make you want to isolate yourself, but I want you to do just the opposite! I still can’t get over my ex wife, what should I do? Here’s where it gets more challenging. I have many clients that have understood how to be a better man, but they aren’t sure how to communicate their improvements to their exes. Well, if you’re familiar with my philosophy then you know that I always say that one of the absolute best tools for getting an ex back is the no contact rule. This technique enables you to become a better man and make your ex miss you at the same time. As I was saying above, giving this some time is crucial and the no contact rule requires you to cut contact with your ex for a period of three weeks to a month. It’s a delicate time right now and you’re going to have to avoid making mistakes. Cutting contact will help you to do this, but the most important thing is to use this time to become a new man. Hold on to your best qualities, but pinpoint what can be improved and get to work! Post pictures of your new and improved life on social media and she will take notice. Share and talk about it with your friends and word will travel to her. She’ll be reminded of the man she fell in love with in the first place and see that you’re a new and improved version of him. If you pair this with proper analysis of the breakup and solutions for the future, you’ll be irresistible to her! Before I end this article, I also want to note that though we are talking about how to be better for her, this is also about becoming a better man for yourself. The moment you’re able to make yourself happy, you’re going to have a much easier time making another person happy as well. Keep this in mind when you’re thinking about how to be the best partner you can be to her. I know that each situation is entirely unique so there are plenty of variables that you might be wondering about. Please don’t hesitate to leave any questions in the comments section below or get in touch with me directly here.